Order No: Contracts/L/7942 - D.C.L.B. F. 5 (Plant/277). Send to: Loco to be delivered f.o.r. Tidworth. 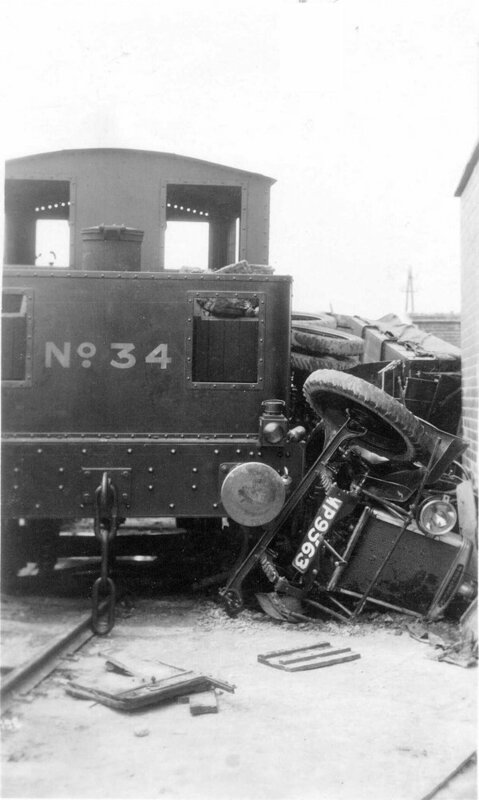 Despatch promised: 13 weeks from order, loco urgently required. The frames were one foot longer than usual. It had the larger pattern 8259 boiler and was a CEDG type, that is central engine double geared. It was fitted with a mileage counter manufactured by the Hasler Telegraph Works Co "or other approved type". The original painting instructions were, "Loco to be painted with two coats Lead colour, two coats approved colour, lined and varnished. Under carriage to be painted Black. Cab etc., Dark Green. The letters "W.D." to be painted in letters 1-ft. in height on either side of the Loco in approved position, and the number "1" to be painted 6" in height in four places, i.e. on each side and each end, all in white." "Please note that the lettering and numbering instructions given on our "Add to" dated 22nd January, are now to be considered cancelled. The letters "E.P." 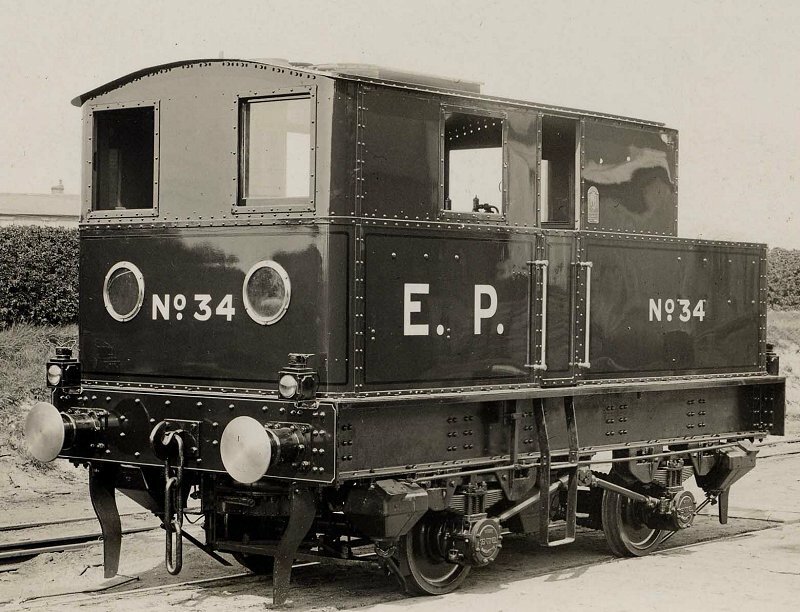 are now to be painted on each side of the locomotive and the number "34" will appear in four places. All other instructions remain as before." The late Ralph Russell consulted Sentinel records in the early 1950's and recorded it as delivered in April 1927. Oops! Molly at Tidworth with a Morris Commercial 'D' type 6-wheeler courtesy of Mike Barnsley.